Need a more experienced opinion! The fastest way to sour a good family friendship is to do business with them. Just my opinion based on experience. So I take it you are saying the car won't last? No, not at all. I don't know anything about the car or your friend. If there's even the tiniest iota of a chance that you could jeopardize a cherished relationship in the event the car turns out to be a bad deal, then it's not worth it. This applies to everything, not just cars. My closest friend who I've known for 58 years, is a successful financial planner. His reputation is beyond reproach. His two daughters are like my own, his wife is like a sister to me. But I won't do business with him. That's why we're still as close as brothers. Business and family frequently don't mix well. No, what he's saying (and I also have experience in this subject) is if at all possible-that is to say never-combine money and family. In all likelihood you'll lose one or both. In its essence this is a business proposition so keep it on that level. He's not addressing the issue of the car, although at 190K thats a lot of mileage. If you still want to go about it, have it checked out by a trusted mechanic BEFORE you part with any money. 190K is the point where real expensive repairs start. If you need a car that will last two years that is not it. Go buy an econobox with less miles for the same money. As one who has had cars well into their old age (present car is 300K kilometers, old van nursed to nearly 400K Kilometers), if the car is looked after well, it could last you a while. But, no guarantees. At that mileage you hope that they changed the oil regularly, and replaced parts that wore out with as good as or better than new parts. But, it's a gamble. And like it's been said before, doing business with close friends and family is risky. With my aged cars, my present car I bought new and know how it's been maintained from day one. The van had 2 previous owners and the one I bought it off of had a file folder full of every bill and oil change it had in its life. Last edited by Noilly Pratt; 9/11/14 at 10:09 AM. You can get a sentra or corolla with much lower mileage for the same price. 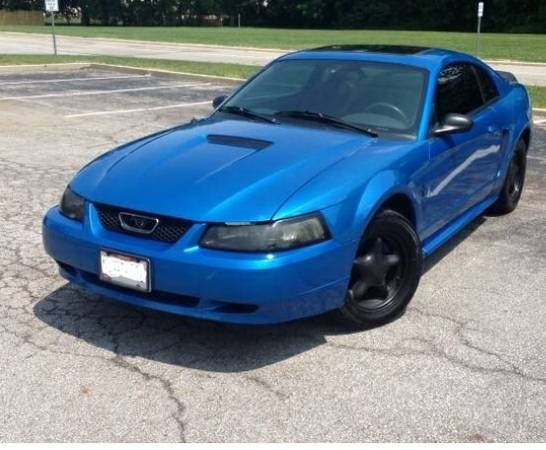 A 2002 Mustang V6 with 190K miles? That's a car you buy because you intend to yank the engine and transmission out, restore the car and put a V8 in it. It's not a car that will give you 2 years of trouble free driving at college. 190k on a 6er is a lot in my book. My money sayz it is lacking in compression both because of old rings and tired valves. As stated above find something else with lower miles. Find something with a clean int. and go from there. Drove my 2000 v6 to nearly 160,000 miles. Mechanically there were no issues. However, electrically there were several. Part of why I got rid of it. The last thing was a short across the pigtail that went to the crank position sensor. The two wire would short when I hit bumps causing an intermittent problem that took a while to figure out. I think the covering on the wires was just starting to break down. This on a car in Alabama that was garaged half it's life. And then always parked on asphalt or concrete. This has never happened to me before...not sure what to do next. How fare or how much will you be driving to school? Also I am with the bunch here on buying from a friend unless you can buy it and if it stops running the next day he would still be your friend. bicycle to and from werk I know I would if it was only 4 miles away. Oh and pics of the new ride?? Not a factory color bro. In 2001 the only blue was a really dark blue. Start looking for evidence that the car has been in an accident. It is a good color though so it could be just a repaint. Quick Reply: Need a more experienced opinion!